The promotion is being held at Viva, the all-day dining restaurant. 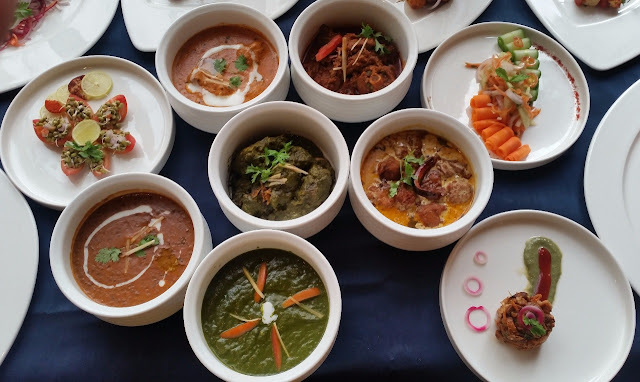 Every Friday evening, the place is transformed into a Punjabi eatery with live counters doling out delicacies like tawa fish, parathas and hot hot jalebis. 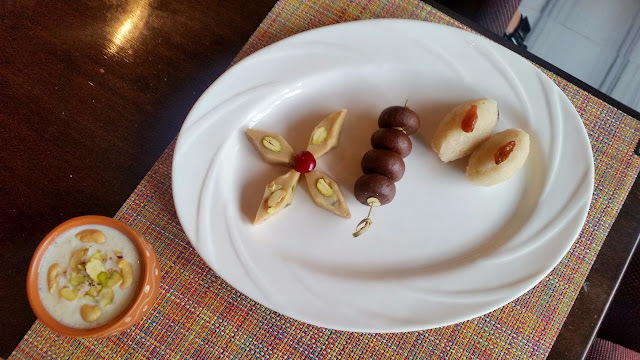 The buffet is laid out in front of the open kitchen, with some lovely marinated ready-to-prepare kababs are displayed near the kitchen counter. At a preview of the festival, we were welcomed with some soothing Aam Panna. The appetizers started pouring in almost immediately after that. 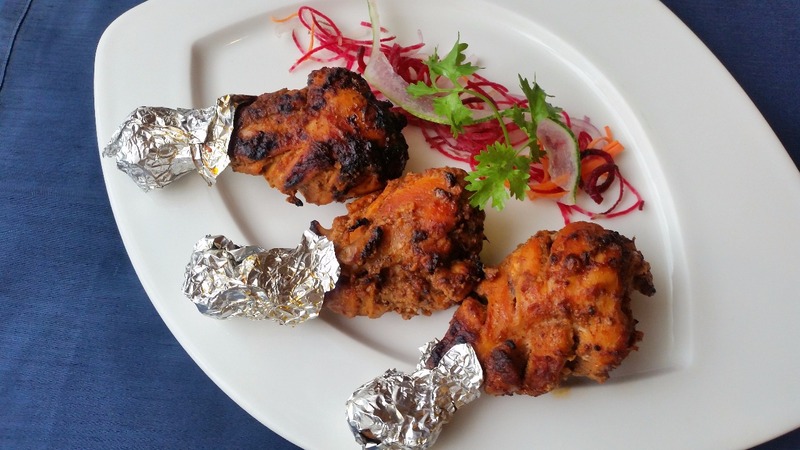 Achari Tandoori Tangisi or chicken legs marinated in spicy masala was the pick of the initial ones. The chicken was grilled to absolute perfection and had a distinct smokey flavour. 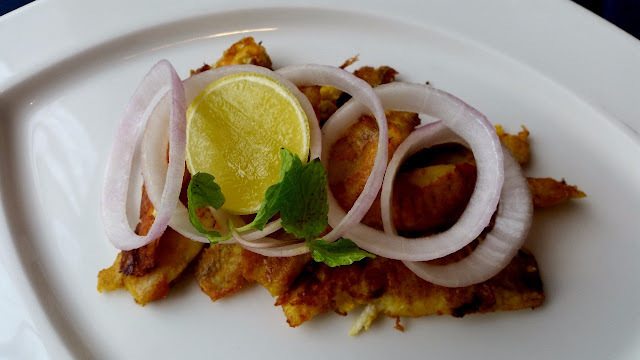 Zafrani Machhi Tikka, a preparation of fish fillet had a subtle and simple taste and made me go for a quick refill. 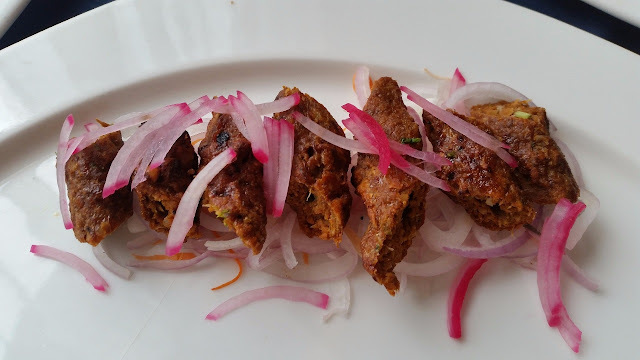 Bhatti Ka Choosa, a chicken kabab and Gosht Seekh Kabab, the other non-veg starters were decent, though I would have liked my seekh kababs to be a little moister and juicy. Among the vegetarian starters, Aloo Kumbh ke Seekh, a soft kabab of potato and mushrooms stood out. 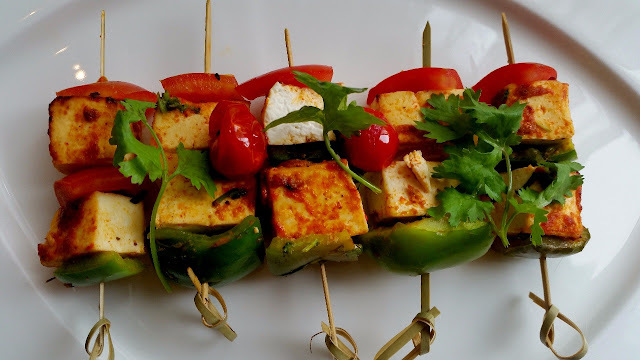 The best looking of the lot was Bhatti Ka Paneer, where paneer cubes in red masala were presented attractively with tomatoes and capsicums on a skewer. 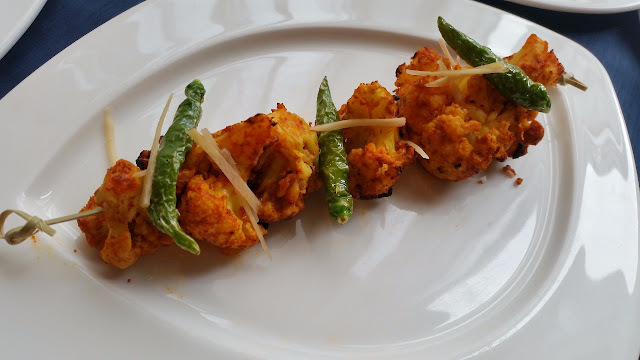 Angara Gobi, a cauliflower based preparation was another starter of note. The promotion had a wide range of salads. 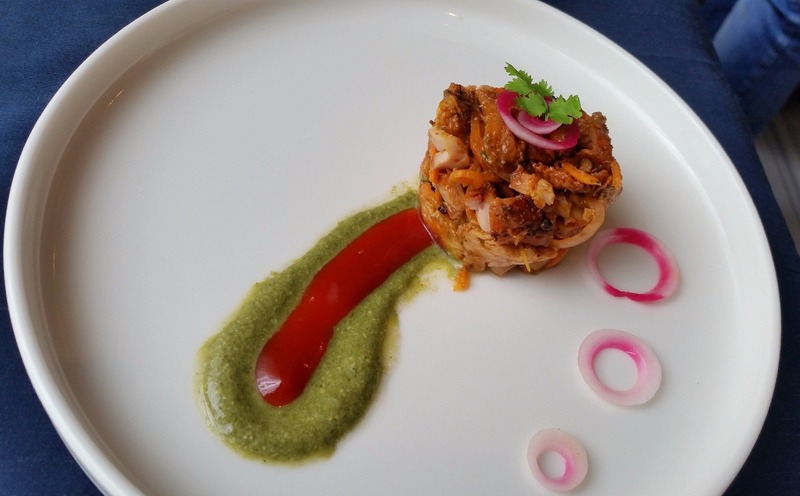 My pick here was the Chicken Tikka Gajar Aur Pyaz Salad, a spicier variation from the mix. Aloo Anardana Salad with a lot of pomegranates sprinkled on potato looked interesting. From the main courses laid out on the buffet. I started with the signature Punjabi combo Makki de Roti and Sarson Da Saag. The latter was a perfectly balanced dish, one of the better ones I had in recent times. Paneer Tikka Masala had a slightly tangy and creamy gravy and was good to go with Laccha Paratha. Bharwan Bhindi is a favourite dish of mine and the preparation here did not disappoint either. 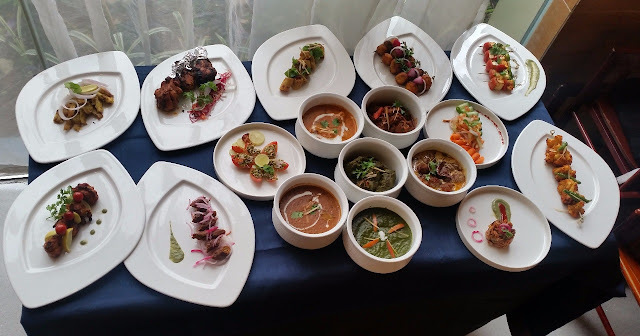 There were about a dozen vegetarian dishes among the main courses, but since I wanted to try the non-veg delicacies too I had to skip some of them. Coming to the meat dishes, Rara Gosht, a spicy preparation of mutton tasted delicious, I had this with some Kaju Pyaaz Pulav. Murgh Makhani was very well prepared too, the tomato based gravy tasted nice and creamy with Butter Naan. The green Saagwala Murgh had a myriad of flavours from coriander, mint and green chillies. Pithi Wali Machhi, however, failed to impress me, the fish preparation lacked any taste. 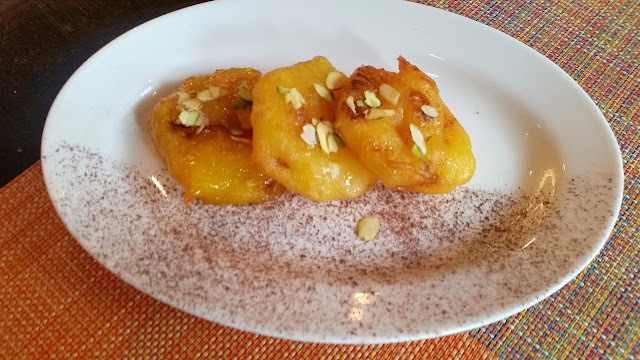 Among the desserts, I feasted on the jalebis – the usual Ghee Jalebi as well as Apple Jalebi and Pineapple Jalebi, all of which were directly served from the live counter. Chawal ke Kheer, Besan Laddoo, Suji Halwa and Gulab Jamun were the other sweets on the buffet. Overall, a nice spread of well-prepared dishes. 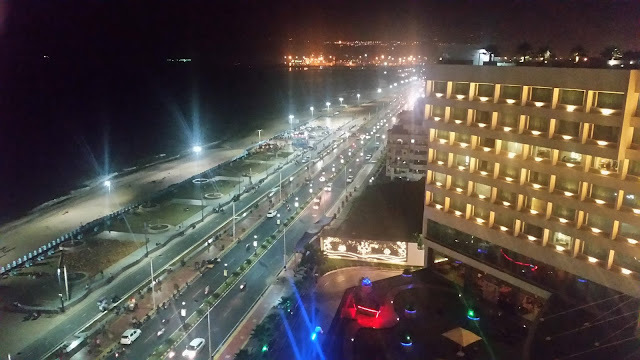 The buffet is on every Friday evening from 7:30 PM and the menu will change every weekend. The Dhabedaar Friday buffet is priced at Rs 1850 AI. 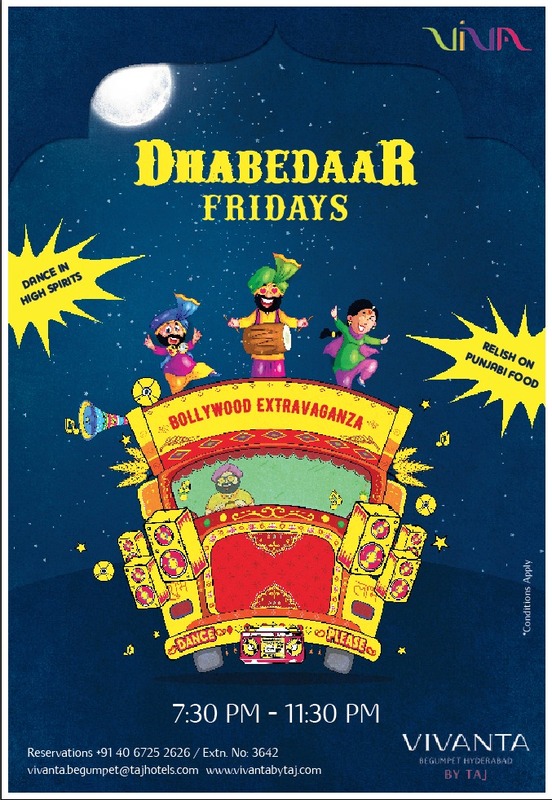 It is a nice option for a Friday evening especially for those who like Punjabi food.